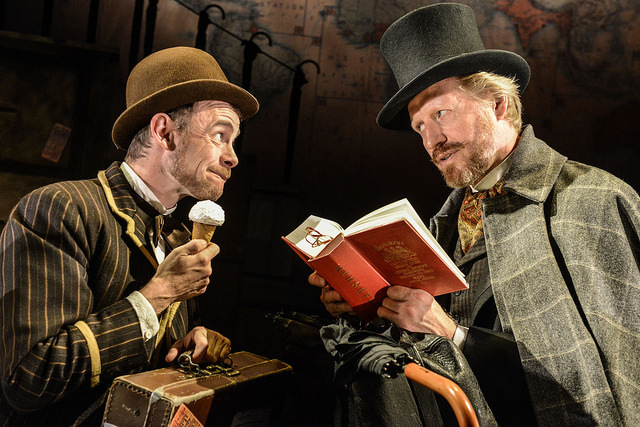 What makes this stage production mesmerising is the imaginative use of characters and props. 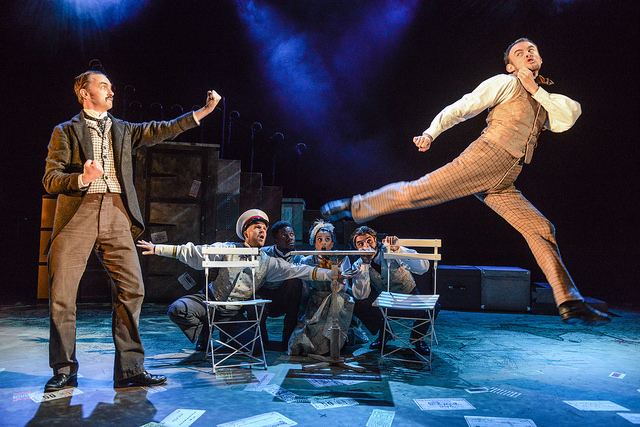 It is no mean feat to have a cast of just 8 playing over 125 characters between them, changing costumes, stage settings, even languages with seamless ease. 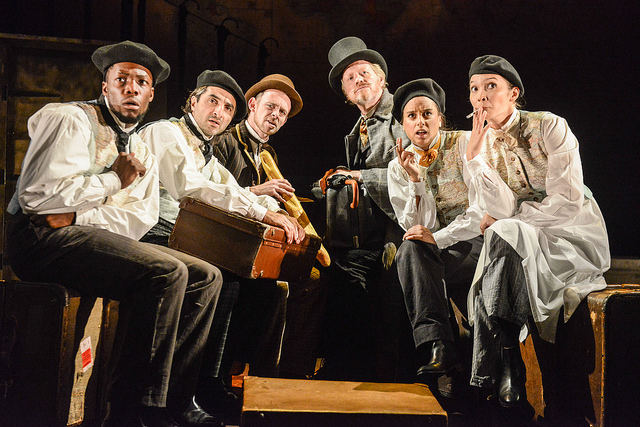 This high-spirited escapade includes six trains, five boats, four fights, three dances, two circus acts and an elephant, all staged by the clever use of stairs, suitcases and sheets of cloth. Not to mention some highly flexible limb movement by the cast. I adored the ingenious choreography of the fight sequences. The scenes were brought alive by exquisite timing and synchronicity between the performers. The show runs for 2 hours with a 20 minute interval and is recommended for ages 7 and above. My nearly-7 year old loved all the slapstick humour, especially the scene that had Passepartout wriggling on the floor chasing his hat. He was slightly flummoxed by the audience participation, but found it entertaining. I found it mind-boggling. How can someone come up with a rhyme about a random member of the audience called Jake in all of 10 seconds! That's exactly what Michael Hugo did at the start of the second act. 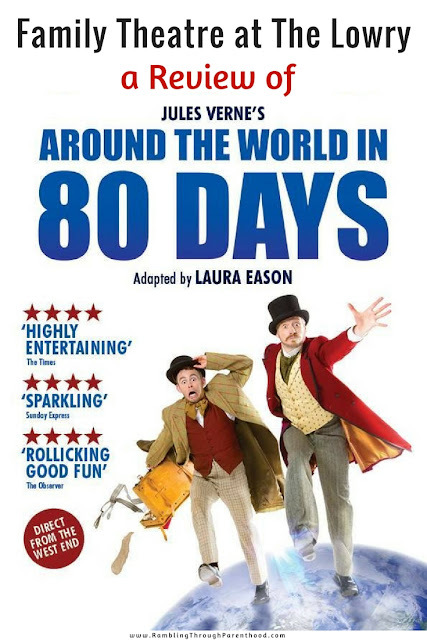 We thoroughly enjoyed our experience with Around The World in 80 Days. It was fun, exciting and entertaining. I would watch it again given half a chance! Disclosure: We were invited to attend a performance of 80 Days Live in exchange for this review. All opinions are my own. All stage photos copyright The Lowry.